The Arizer Extreme Q is one of the more popular dual-function vaporizers on the market, allowing users to choose between whip draw or balloon bag vapor delivery. While there’s a handful of units that do the same thing, the Extreme Q is one of the most affordable. Let’s take a look at what the Extreme Q from Arizer brings to the table. The Extreme Q is a desktop vaporizer designed by Arizer that is capable of both filling balloon bags and direct draw. A digital display allows for control over the temperature, fan speed, timer, sounds and under glow. The temperature can be accurately set using the up & down arrows, plus it can be changed between Fahrenheit and Celsius. 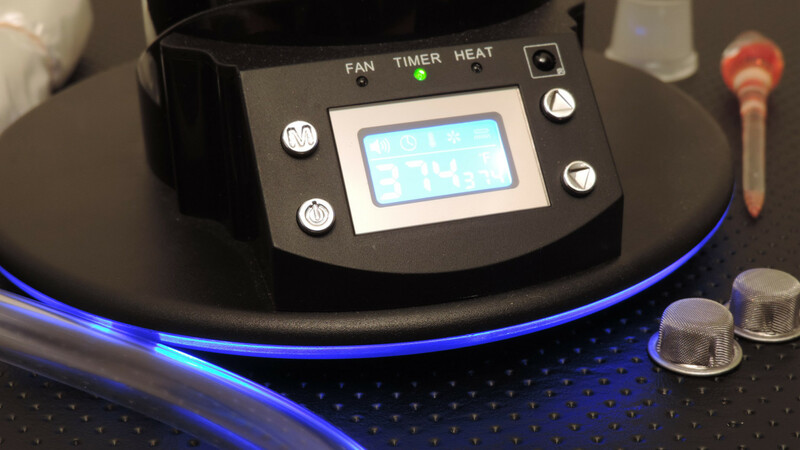 The fan offers three different speed levels or can be turned all the way off, great for when using the direct draw whip. If one does not want to worry about remembering to turn of the Extreme Q, it features an auto shutoff timer that can be set in 30 minute increments up to four hours. The beeping sound can be turned off, as well as the blue glow that illuminates underneath the body of the unit. The Q has a midnight black stainless steel shell and uses an internal heat source that is stationed below where the material is packed. This allows for very even vaporization, as the heat travels up through the herb and not just across it like vapes that have horizontal heating elements. The cyclone bowl which holds the herb has ground glass on both ends for a solid connection to the heater cover and elbow adapter that fits into the top. These glass components help to provide very clean and flavorful vapor, as there is little metal in the air path.Always be cautious with the glass though, as it can get incredibly hot during vaporization. This vaporizer is perfect for those trying to find a cost effective unit that can fill up balloons or provide direct draw hits through a whip. Some consider vapor from a balloon to be smoother, as it has time to cool slightly when the bag is filling up. A balloon can be wasteful though, especially if the vapor is for an individual only looking for a quick hit. Direct draw from the unit is certainly faster than using a balloon, but some folks do not like the warmth from pulling air straight from the heating element into their lungs. That is where the value of a dual functionality vaporizer lies, having both options available and being able to achieve the optimal vapor production for any preference. WHAT IS THE OPTIMAL TEMPERATURE FOR THE EXTREME Q? When it comes to vaporizing everyone is going to have different preferences, however a good range of temperature is generally 360 to 385 degrees Fahrenheit. To achieve quality vapor production, the Extreme Q seems to operate better at a slightly higher temp range between 400 to 415 degrees. The temperature that appears on the display screen is just a little higher than the actual temp where the herb is being vaporized. It is not necessarily that the Extreme Q requires a higher setting, but rather that the display can be slightly misleading. As with all vapes, it is a good call to try a wide variety of temperatures until the desired vapor is produced. Once the temperature has been set, the Extreme Q will reach it within 30 seconds or so. Though the display screen may show that the desired temp has been achieved, it does not mean that vapor will form. Place the cyclone bowl with some herb in it over the heater cover and connect the elbow adapter on top. Allow a minute or so for the glass to heat and this will assist in getting much thicker vapor production. After vaporizing, leave the glass to cool for a moment to ensure that it can safely be handled. Using the balloon function of the Extreme Q is rather easy, as the hardest part for many is assembling the bag for a first time. Once the balloon is connected to the glass mouthpiece using the included O-rings, the process of filling the bag is pretty straight forward. The herb is placed in the cyclone bowl the same way as when operating drawing direct, however the mini whip elbow adapter is connected to the top. Then with all of the air squeezed out of the bag, the glass mouthpiece is attached to the three inch piece of tubing. When everything has been assembled, the fan is turned on and the balloon will begin to fill with vapor. Level three will create a thinner vapor, although the bag will fill up quickly. A lower setting provides thicker vapor production, but this will increase the length of time required to fill the bag. Once the bag is full, it is disconnected from the tubing and ready to be inhaled. Remember to keep a finger over the mouthpiece though, because there is not valve to keep the vapor from escaping. WHAT DOES THE REMOTE OFFER? The remote that comes standard with the Extreme Q provides some added convenience. First it can be used to switch the machine on or off without needing to be within arm’s length. Great for those who like to sit back and relax when they are vaporizing. On top of that, it is able to turn the audio/light off & on, control all of the fan levels and set the timer for two or four hours. It also features six preset temperatures in Celsius and a plus & minus for precise adjustments. HOW DOES THE EXTREME Q COMPARE TO THE VAPIR RISE? On par with the Vapir Rise, the Extreme Q has a quick heat up time and generally fills up bags within 90 seconds. The Rise has nine temperature settings and the Q only three, but it can be turned completely off (latest version of Rise will offer this as well). There is no valve setup for the Extreme Q and one must hold their finger over the mouthpiece, making it very easy to lose vapor when passing the bag to another person. The Q’s glass components provide better tasting vapor, but make it difficult to reload the bowl for multiple sessions in a row. Both units are designed so the heat passes up through the herb from underneath. When using the Extreme Q, there are some ways to achieve a thicker vapor production other than turning up the temperature. One method is to pack herb directly into the elbow adapter screen, as this will compact it some and reduce the area for heat to escape around the material. Herb can also be placed on the cyclone bowl screen at the same time to further increase the vapor output. Another common technique is to replace some of the pieces in the whip with Silver Surfer Vaporizer components. The elbow adapter & tubing is swapped out for a 19mm SSV waterpipe adapter and their larger diameter tubing. One will continue to use the cyclone bowl the same as prior, but connect the SSV adapter in place of the Arizer elbow piece. This allows for more airflow and therefore creates larger clouds of vapor. 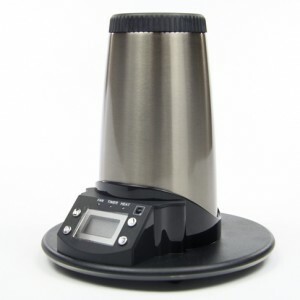 The Extreme Q has been around for a while and proven that it is a lasting vaporizer. The vertical air path is a great design to ensure that the herbal material is effectively vaporized. The glass components can get rather hot during use, but do cool down quickly once the machine has been shut off. Glass does provide some of the best tasting vapor; however it can easily break if one is not careful. Though the Q fills a balloon pretty fast, vapor easily escapes from the bag as there is no valve to seal it in. If Arizer designed a way to prevent vapor loss from the balloon, that would certainly add some additional value to the Extreme Q. For what is cost though, the Q is definitely a good option for a person that wants a dual functionality vaporizer. We recommend purchasing the Arizer Extreme Q from this trusted retailer.They will throw in some additional accessories for the Extreme Q at no additional charge. 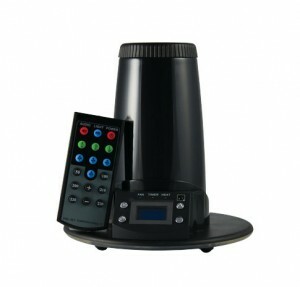 A well designed and high quality vaporizer that is also cost effective for what it offers. The lack of a valve on the balloon and hot glass connections can be inconvenient, but the vapor production is always very consistent. The Extreme Q definitely a good choice for the person that wants options when vaporizing.